As some people had problems finding our booth, here's a small explanation. 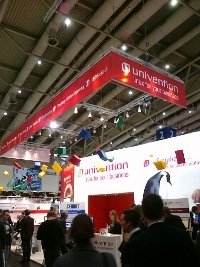 We are guest at the booth of Univention in Hall 2, stand B36. It's quite near to the north entry, where you arrive by the tram lines 8 and 18. 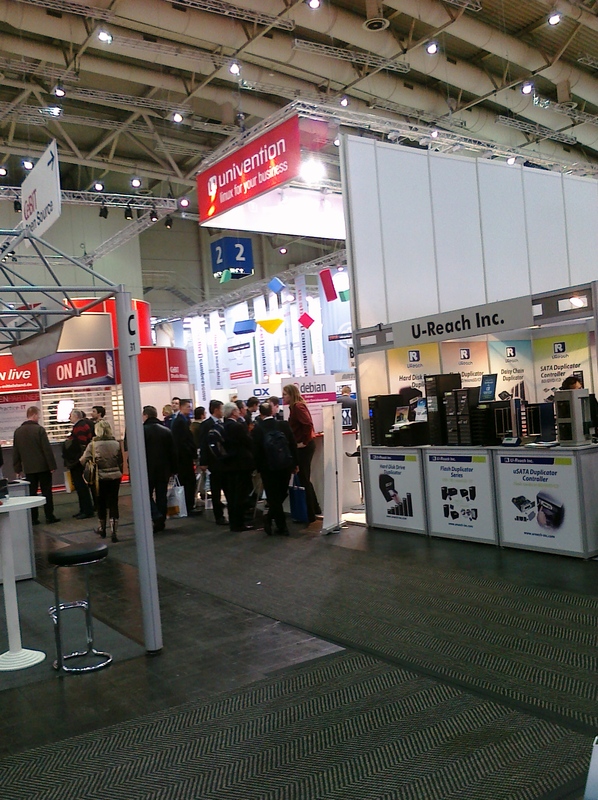 I'm really delighted, thet you are here! 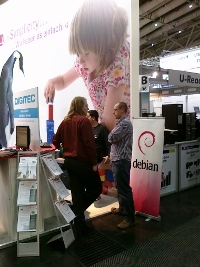 You know, I started quite late with that whole IT business, and Debian was my first distribution. It all worked perfectly and took all my fears of it away! 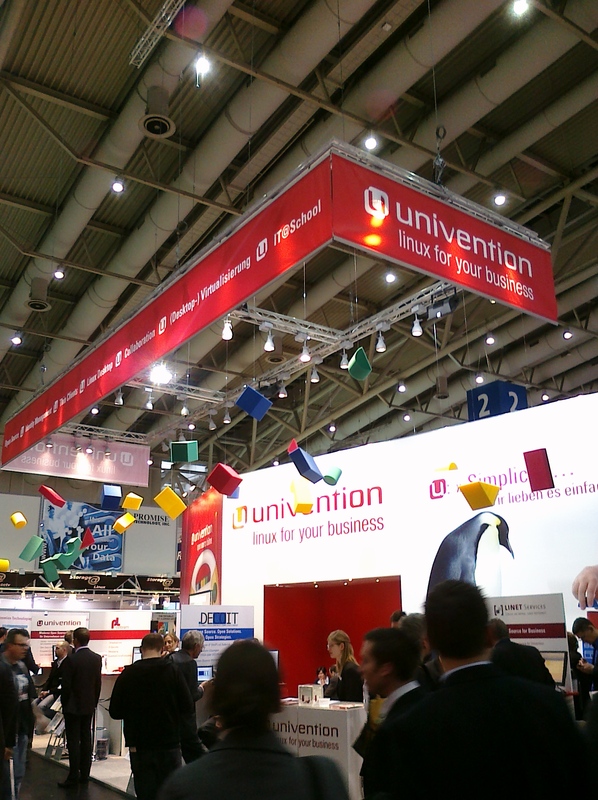 [CeBIT] Yes, we still have free tickets. Well, I hope the video was working. I'm really looking forward to see that video.